Today’s podcast is a shorter interview with former elite athlete and physical therapist, Fabienne Raphaël. Fabienne is a speaker, podcaster, and business coach helping others earn while doing work they love. Fabienne’s coaching helps people craft and develop their skills into highly paid purpose-driven coaching programs and businesses. Fabienne has been featured in Forbes, ABC, FOX, CBS, Inc. and Huffington Post and has appeared on over 30 podcasts, such as CopyChief Radio and Entrepreneur on Fire. 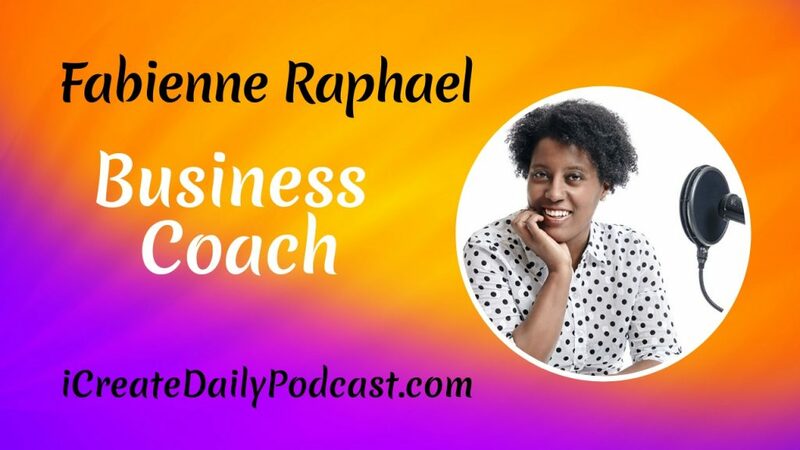 In addition, Fabienne’s background in radio and television hosting is put to good use in her own podcast, titled, Marketing to Crush your Competitors, with over 300 episodes to date. Fabienne radiates a high level of energy, authenticity and enthusiasm in her purpose-driven work. We think you will find her story interesting and stimulating toward considering your own possibilities. Everyone has something special that they do best.